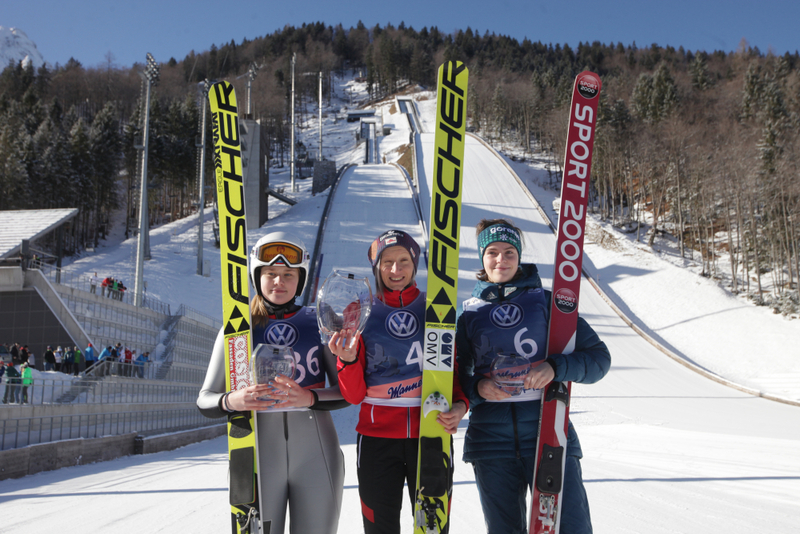 This year's third race of the continental ski jumping competition for ladies was won by Austrian returnee, Daniela Iraschko-Stolz, Russian Alexandra Barantcheva was second and Slovenian Jerneja Brecl third. In the idyllic Planica ladies competed for the points of the continental cup on the 102m hill, third time in this season. As expected Austria's Daniela Iraschko-Stolz, who jumped 96 and 97 meters, scored 235.0 points and won convincingly. 20.5 points behind was barely 16-year-old Russian Alexandra Barantchev, who jumped 92.5 and 92 meters, while Jerneja Brecl, who will only be 17 this year, was third and jumped 91 and 90.5 meters and collected 209.0 points. Other Slovenians with points were 7th Katra Komar, 14th Kaja Urbanija and 18th Pia Mazi.